Do you live in a property owned by someone else? If so, are your personal belongings properly protected in the event of an unfortunate catastrophic event? If you live in a medium to large city and watch your local news, you see it all the time. At least once a week, there is a report of an individual or family that lost their home due to a fire. You may think you don't have to worry about someone else causing a fire and burning down your apartment building because you live in a single-family dwelling. Fires can happen there too. Yeah, the risk of loss is not a great living in a single-family residence as compared to when you are living in a building with multiple families. It doesn't matter where you live or what type of dwelling you live in when it comes to weather related events. If you live in tornado alley, you have a pretty good chance of your home being hit by a tornado. Even if you don't live in tornado alley, your home can still be hit by a tornado. According to the National Weather Service, tornados can happen at any time and in any place if the conditions are right. Maybe it's not even a weather related event that causes you to lose your belongings. Your belongings can also be stolen by a deadbeat (aka burglar). If you can't afford to replace all of your belongings at one time or think it will wipe out your savings in order to replace your belongings, you probably should consider purchasing renters insurance. Renters insurance is very affordable and well worth the cost for the peace of mind it provides. Speaking of cost, you can get a very good rental policy for less than $300 a year; most times it will cost less than $200 a year for a basic insurance policy. When I was renting an apartment, I had a $25,000 policy and it cost less than $150 a year. Don't be fooled into thinking you are covered by your landlord's insurance policy. That policy usually covers the structure and anything attached to it but not your personal belongings. I have a landlord's policy for the rental property I own and it only covers the structure and attached items; not my tenants personal belongings. 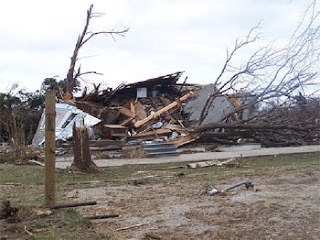 If a tornado were to flatten the house or if my home was destroyed by fire, I could get the home rebuilt but there would not be any coverage for my tenants belongings. I make sure to include this in my lease and verbally tell my tenant that her personal belongings aren't covered under my policy. She's been with me for four years and she has still not taken out her own policy to cover her personal belongings. I would feel really bad if something happened but I did give her plenty of warning. Where should you look for renters insurance? If you own a vehicle, your first place to look should probably be your current automobile insurance company. By having multiple policies with the same company, you may be eligible for a multi-policy discount which will save you money on both policies. You can also use a site like InsureMe which will allow to input your information one time and obtain quotes from multiple insurance companies. 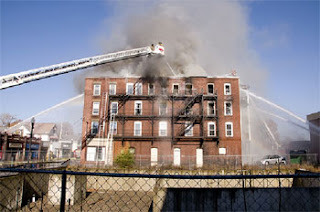 What type of losses does renters insurance cover? Be sure to read your policy to determine what is and what is not covered. Are you currently a renter? Do you have a renters insurance policy? How much coverage do you have? Using a screening service is worth the cost for a tenant credit report. Good topic, and something I need to tell my renter's as well. Each of my tenants have gotten rental insurance, but I should be like you and be up front and tell any new tenants to do so. It's so annoying all these fees though! My mom has various investment properties that have renters living in them. She encourages them all to get renters insurance. Shows they her insurance policy where they live so they know what she is covering and what she isn't covering. It's a simple conversation to have with your landlord to make sure your protected from all sides. While the property coverage is nice, renters insurance also provides liability coverage if people slip, trip or fall inside the apartment. If someone gets hurt inside your apartment, its you, not your landlord that gets sued. I know we all look at replacing that big screen TV, replacing 30K worth of clothes and electronics is cheap compared to a 100K medical bill and the subpoena you get. Thanks for posting such an informative blog. It is for the first time that i have heard about renter insurance. Due to law and order problem risk of theft is always there so we must buy this insurance.